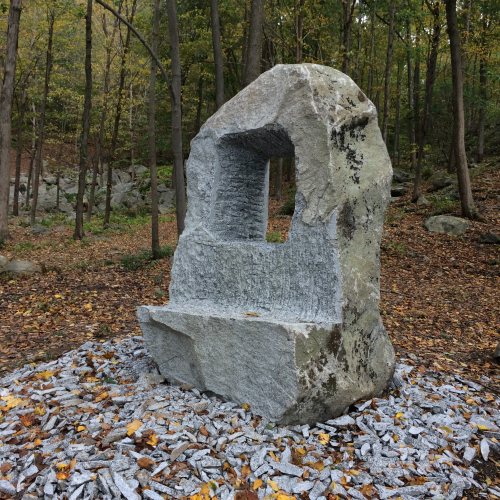 A large scale commission that took most of the summer to complete. 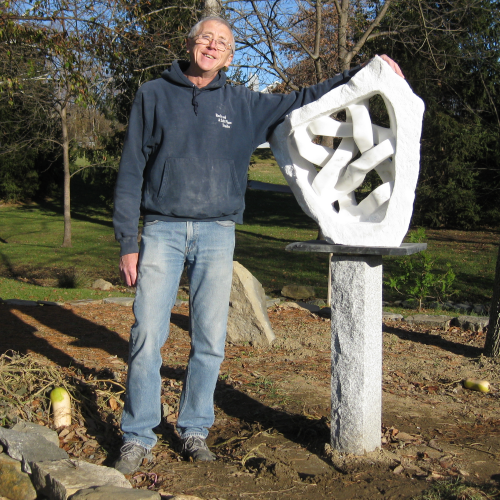 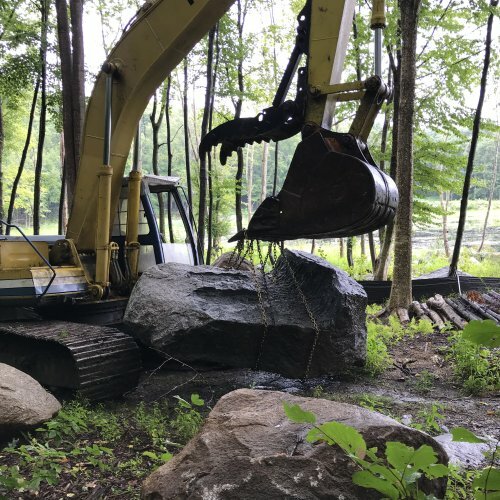 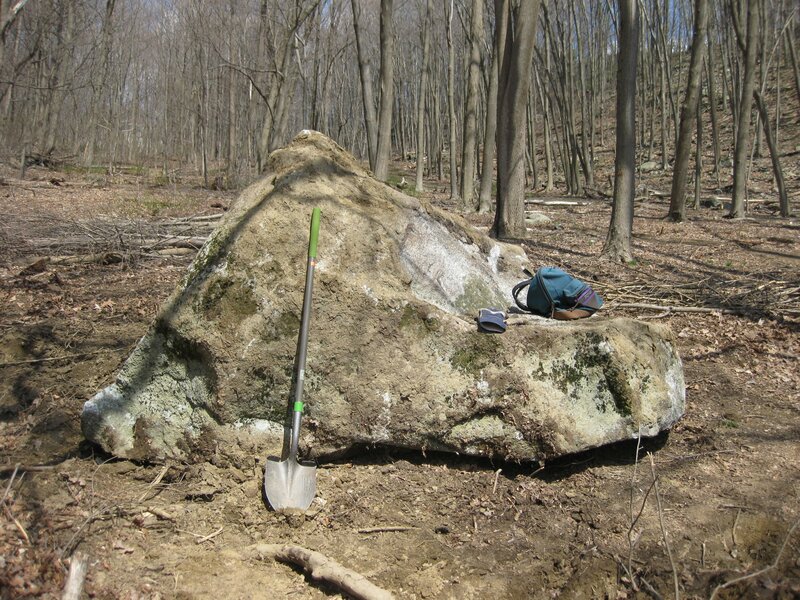 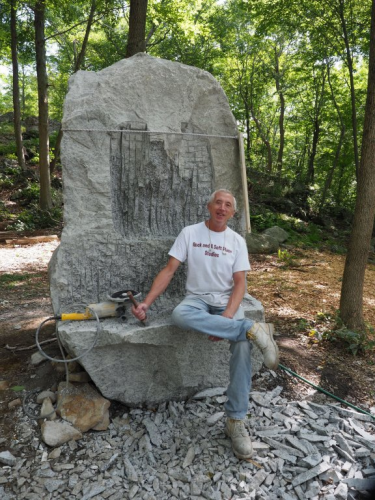 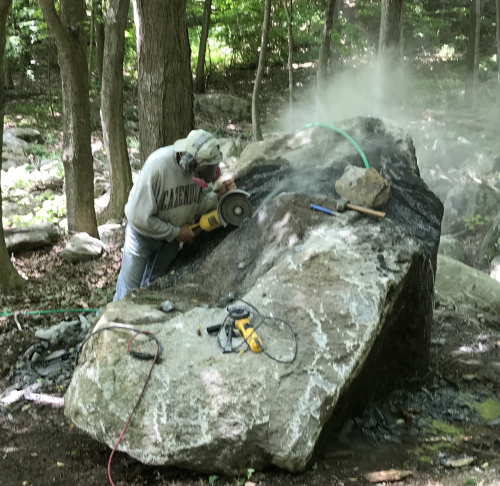 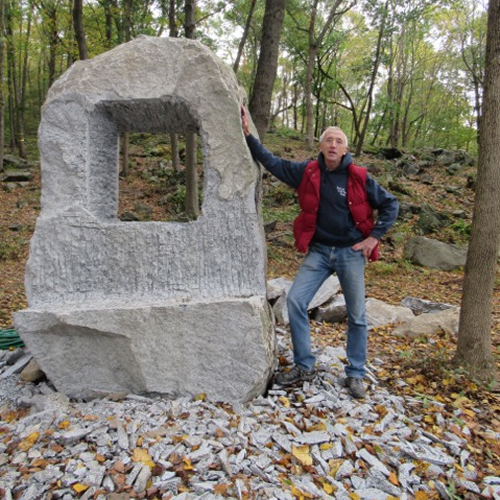 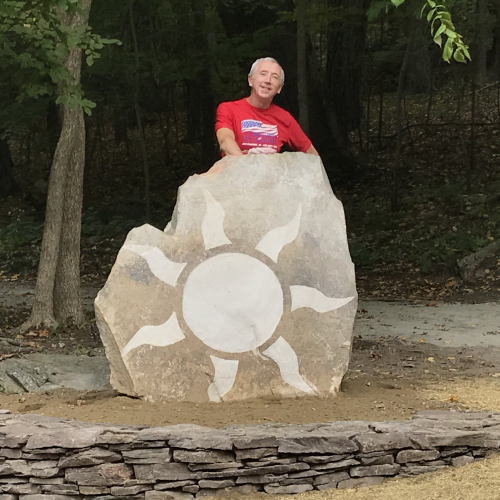 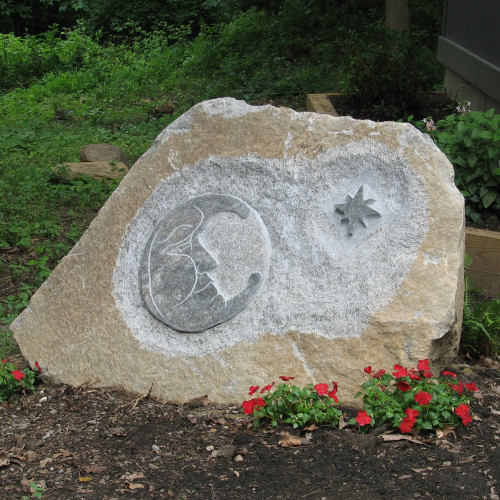 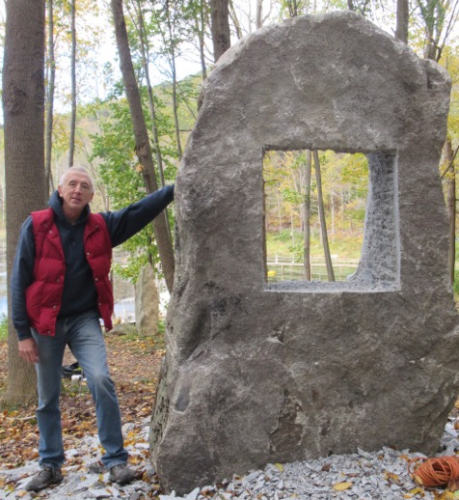 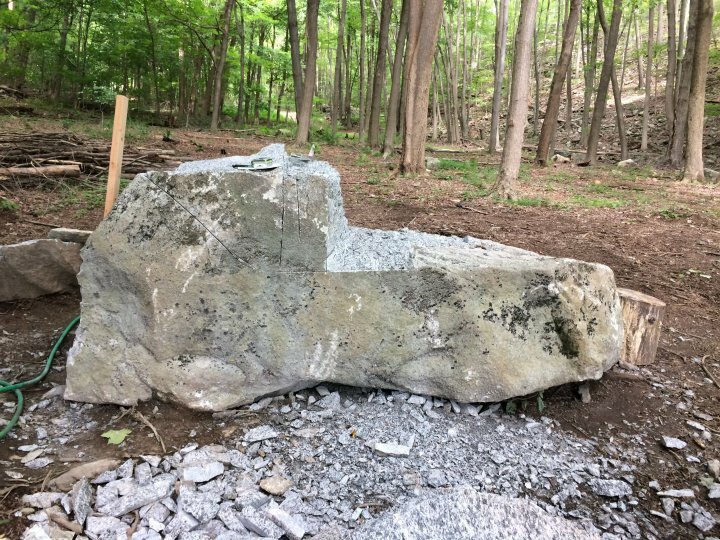 “Window To The Past” started as a 20 ton gneiss boulder which when completed was oriented in a direction so that when the client stood looking through the window he would be looking towards his birthplace. 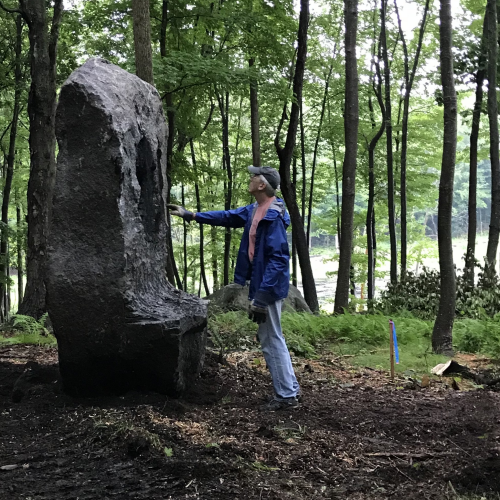 The piece also features a bench to sit and face that direction while enjoying a beautiful landscape of pond, woods, and wildlife.